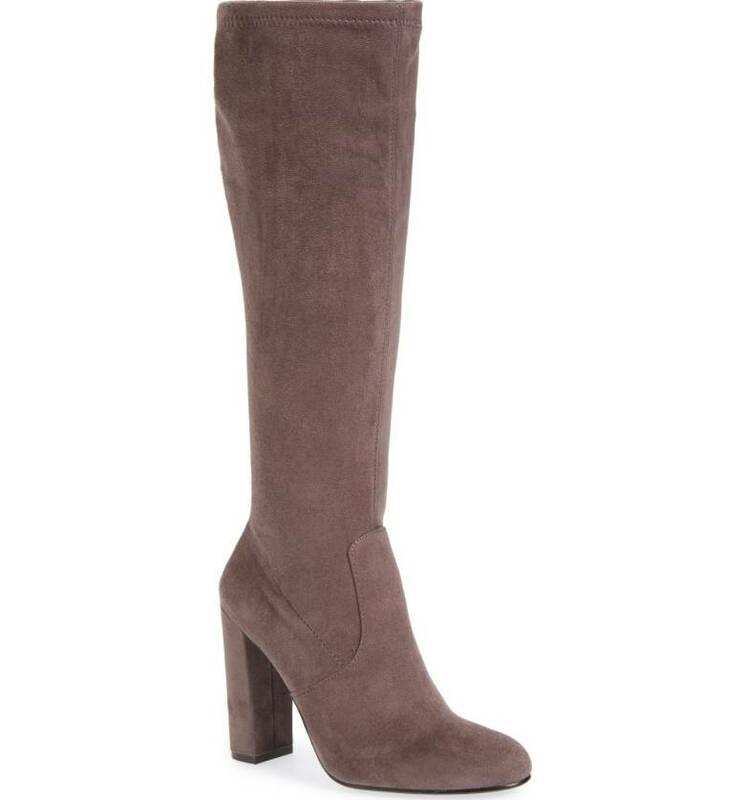 My friend Margaret requested a post on knee-high boots that would be good for walking her new puppy, so I decided to just do a post on all the knee-high boots I like, regardless of height (and there are only a couple that are on the perilous side). This wasn’t the simplest task: the thing at the moment is over-the-knee boots, and stores are crammed with them. But I did manage to find a decent number I liked a lot, including this attractive lug-sole option. The oxblood hue is just so good. Here’s one you could walk a dog for miles in. This looks more expensive than it is, and I love the chunky heel. I’d wear this with my flowy Ulla Johnson dresses. This is a good choice for when you’re in the mood to dress things up a bit, and the price is decent. Grey suede is so damn chic. This is ever-so-slightly western-looking in a way that appeals. This has a sheepskin lining, which just sounds so perfect for frigid days when you have to wear a dress. The pointy toe and clunky heel are an unexpected—but winning—combination. I love all of these! Especially the Uggs that don’t look like Uggs. I love all of these! Especially the Uggs that don't look like Uggs. Of course I love the first ones…the most expensive, but made in Italy so worth it. Thanks for this great selection in a range of price points. 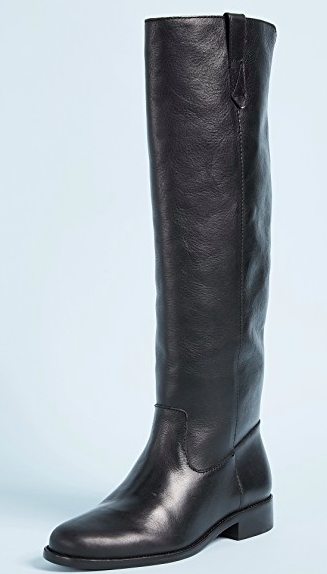 I’m looking for some tall boots for narrow calves that I can wear all day without wanting to rip them off my feet, and that cost under $300. 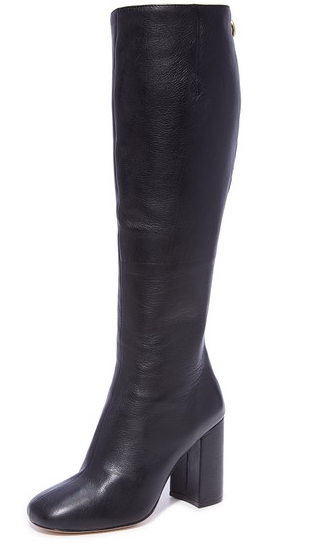 You are so right about the OTK boots, which I feel should only be worn at Halloween with a ‘naughty pirate’ costume. Thanks for this great selection in a range of price points. 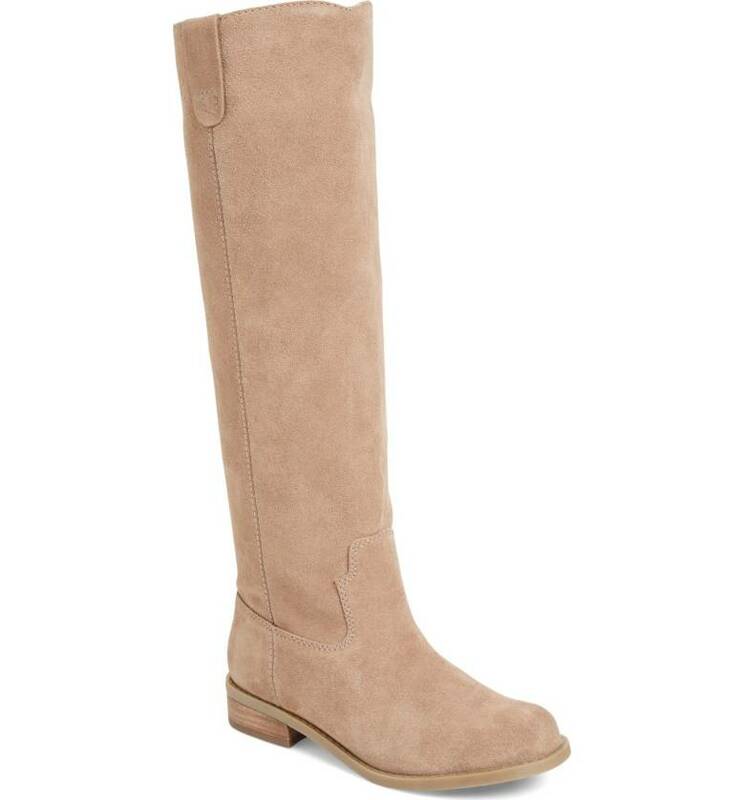 I'm looking for some tall boots for narrow calves that I can wear all day without wanting to rip them off my feet, and that cost under $300. You are so right about the OTK boots, which I feel should only be worn at Halloween with a 'naughty pirate' costume. Right?! Just throw on an off-the-shoulder blouse or a lace-up-front shirt and you’re good to go! Right?! Just throw on an off-the-shoulder blouse or a lace-up-front shirt and you're good to go! 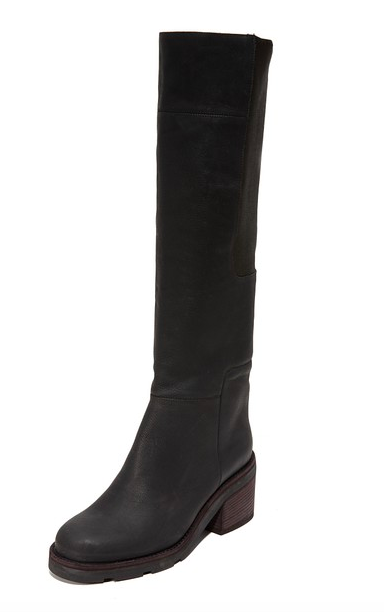 Fiorentini and Baker boots are great for tall slender calves. They’re the only tall boots I’ve ever found that don’t look like galoshes on me. They don’t fall in the <$300 range, but you can find pairs on eBay and the real real for a discount. And FWIW, I bought mine full price 5+ years ago, wear them almost daily from October through March (I live in the rainy Pacific NW), and they are as sturdy as ever. Had them resoled once. 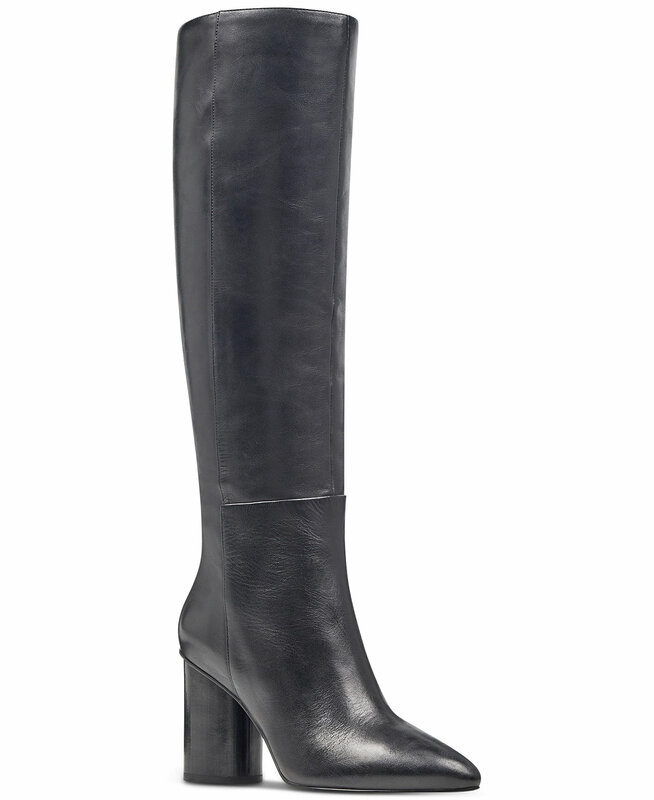 Fiorentini and Baker boots are great for tall slender calves. They're the only tall boots I've ever found that don't look like galoshes on me. 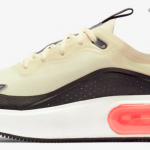 They don't fall in the <$300 range, but you can find pairs on eBay and the real real for a discount. And FWIW, I bought mine full price 5+ years ago, wear them almost daily from October through March (I live in the rainy Pacific NW), and they are as sturdy as ever. Had them resoled once. Thanks for this recommendation! 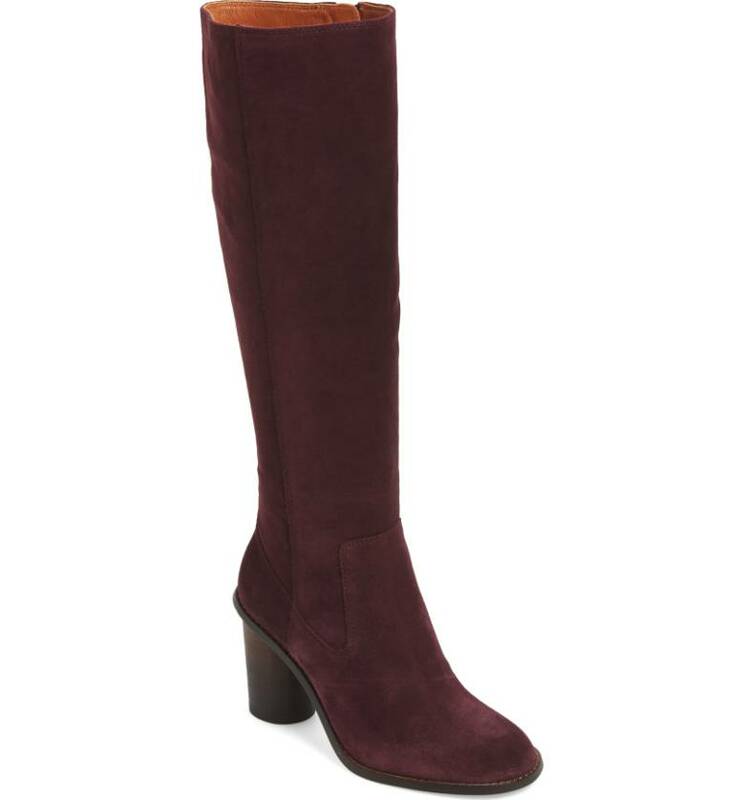 I could go up to $500 for something I would wear very frequently (like a good pair of comfortable boots). 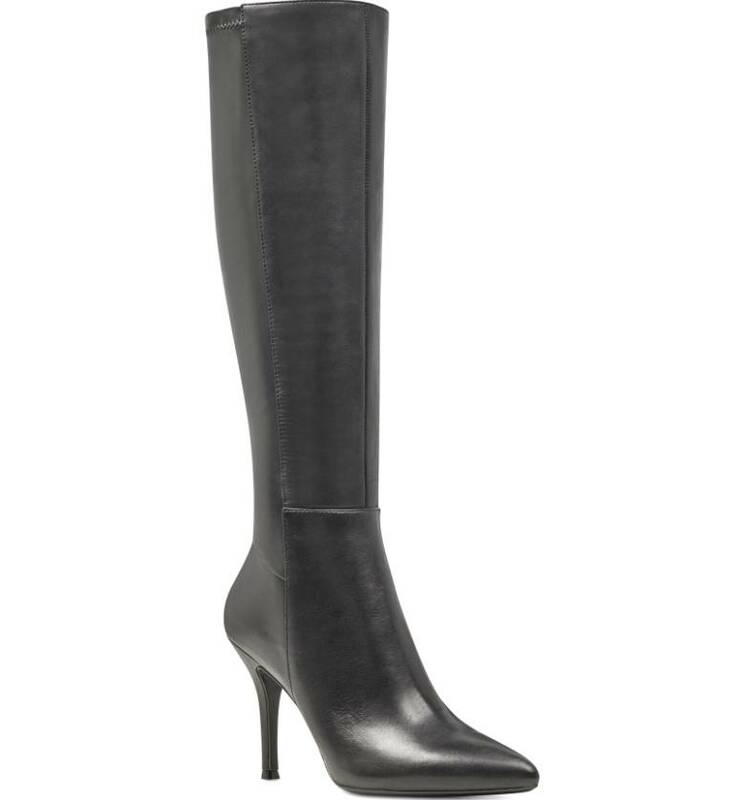 I’d also recommend La Canadienne for slimmer calf tall boots; a lot of the styles are warm, waterproof, and really comfortable. My calves are 12 inches in circumference (I had them measured when I bought a pair of Duo boots, which come in a really large range of calf sizes) and most of their styles fit without too much of a gap. 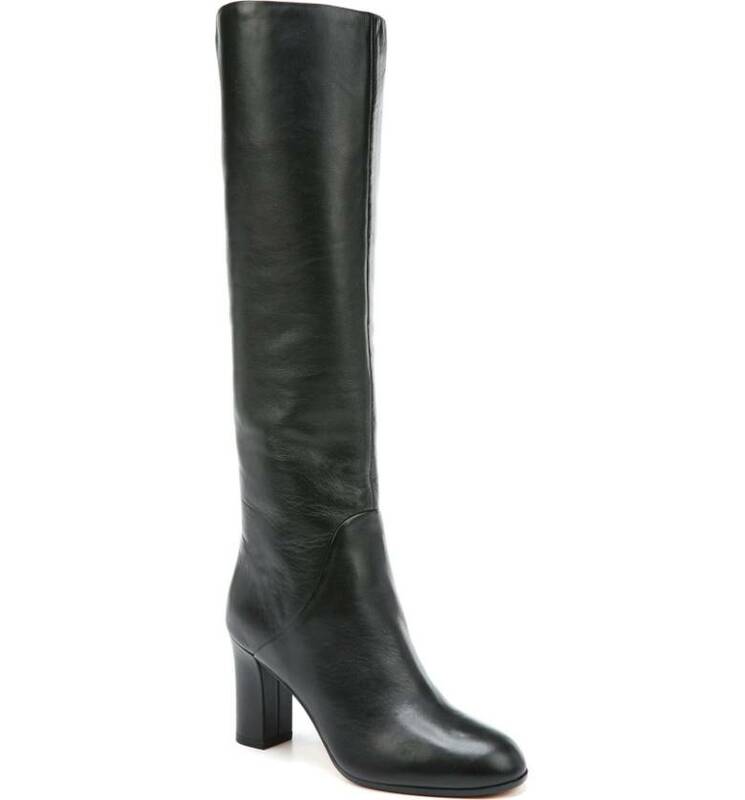 I'd also recommend La Canadienne for slimmer calf tall boots; a lot of the styles are warm, waterproof, and really comfortable. My calves are 12 inches in circumference (I had them measured when I bought a pair of Duo boots, which come in a really large range of calf sizes) and most of their styles fit without too much of a gap. Edited to add, you can find them for less on amazon and other discount sites, because full price they are over $300. They do tend to go on sale at the end of the season though! Heels are sturdy, but could ve a bit high. This one specifically is for narrow calves. Practical ankle boot, pink, grey, black. In case that’s needed. 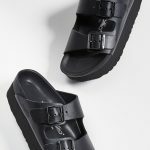 The first pair with the lug sole are to die for! The key is having a top tie, rather than a flap (that can look piratey). Stuart Weitzman is the gold standard, but Sam Edelman does a lovely dupe. I guess I'm in the minority but I LOVE OTK boots. My knees aren't so pretty, have athletic calves and OTK just streamlines my whole look. Knee high boots just cut at the worst part for me (knee overhang!) The key is having a top tie, rather than a flap (that can look piratey). Stuart Weitzman is the gold standard, but Sam Edelman does a lovely dupe. I love all kinds of boots but I am really into over-the-knee boots lately. I picked up three pairs of Stuart Weitzman Lowlands last year’s, all on sale, and they make me feel extra special whenever I wear them. Agree on no flaps and tie tops to keep them sleek. 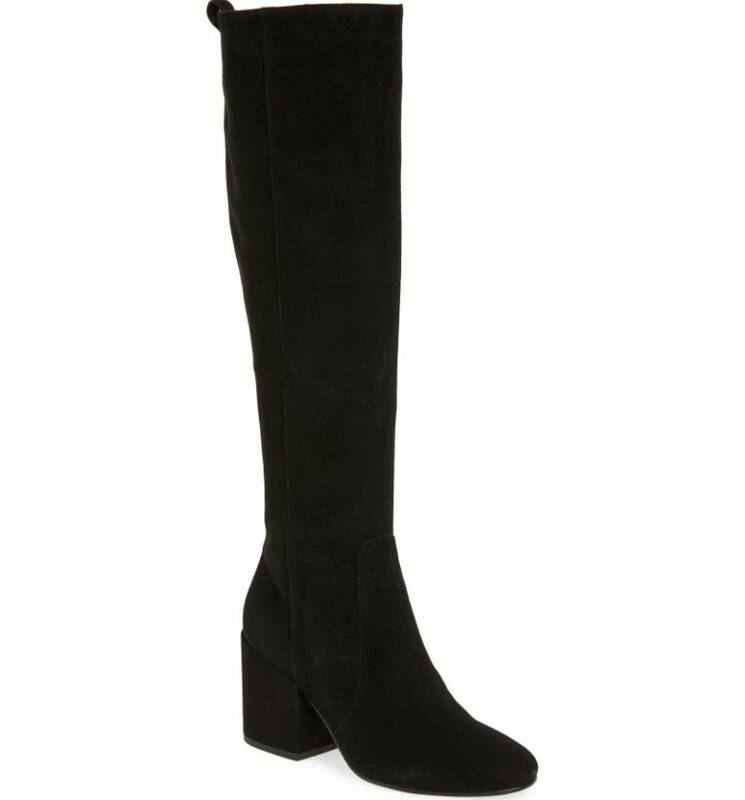 I love all kinds of boots but I am really into over-the-knee boots lately. I picked up three pairs of Stuart Weitzman Lowlands last year's, all on sale, and they make me feel extra special whenever I wear them. Agree on no flaps and tie tops to keep them sleek. Upcoming religious holidays. Need a conservative dress, impossibly chic and non-frumpy. LOVE this! thank you. Another request: Upcoming religious holidays. Need a conservative dress, impossibly chic and non-frumpy. Not a minute too soon, with the possibility of snow on the way later this week. One day, temperatures in the 90s, Fahrenheit speak. The next, snow. And since we live in boots for months, these are dressy enough for concert and theatre season.